Barbados native Hoszia Hinds is recognized as one of the new breakout artists from the Caribbean. Hoszia released his first Album, “THE COMING OUT” and produced his first Music Videos for I’m Calling and The Coming Out. Hoszia won the Gospel Flame Award for “MOST IMPROVED ACT” and was nominated for Gospel Music Channel Awards USA - SOUL Category where he was a top 5 finalist along with artists such as Marvin Sapp, Dewayne Woods, Blind Boys of Alabama and Kevin Lebar. His musical versatility covers such genres as Urban, Contemporary Gospel/Reggae, Pop, Alternative and R&B. Hoszia’s music videos have aired on the Gospel Music Channel, Tempo, MTV, BET Gospel, JCTV, among other TV & Radio Stations around the world, including an appearance on the TCT Television Network. 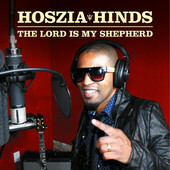 In 2012 Hoszia lead the Flame Gospel Awards with nine nominations, of which he won Artist of the Year, Male Vocalist of the Year and Best Rap song of the Year.In the summer of 2012 Hoszia signed with Sonorous Entertainment Inc. Canada, an independent Christian recording and entertainment label. Toronto, ON- September,2012—Sonorous Entertainment Inc.—international recording artist Hoszia Hinds video “Can’t Live Without You” is now being aired on the Crossroads Television System (CTS) show “Most Requested” a top 30 Christian music video countdown. Most Requested is a Canadian television show, which airs on CTS. An interactive music video show, the program plays requested videos by Christian music groups and artists allowing viewers to vote for and support their favourite video. “Can’t Live Without You”, had its video debut on the show Saturday September 15th and was voted #1 on the week of September 17-21 2012. The song is a track off the soon to be released Hoszia Hinds new EP, “On My Way”. The video has already garnered enormous support on Youtube with more than 1.5 million views since its release in August 15th 2012. Sonorous Entertainment is excited to see the video being showcased on CTS’ Most Requested and thank the producers for their ongoing support of Christian music. You can watch the interactive music show on CTS every Saturday at 6 pm EST. Please visit the programs website at http://www.ctstv.com/mostrequested/ for viewing availability in your area. About Sonorous Entertainment Inc. The core of our vision is to introduce inspirational music by partnering with artists and empowering them to reach the world with a life changing message. It’s not entertainment for entertainment sake, but rather entertainment with a greater purpose. Sonorous Entertainment desire is to create a “movement” that would reach to all corners of the Earth. Not a movement that would be a faith-based “sub culture”, but rather something that would be of benefit and influence to all people, no matter their perspective.